A first for the podcast this year, and some people release a retrospective view on the previous year before the year is out, not me, with how unpredictable 2016 was I didn’t want to speak to soon and maybe miss aliens landing in St Paul’s gardens or something along those lines. Now that it actually IS 2017 I’m pretty confident nothing big is going to sneak up on me for the previous year, unless that thing is the invention of time travel! I’ve rounded up some of the noteable events throughout Ramsbottom in the past year, so buckle up, sit back and take a load off as I go through some things that happened in our small town of Ramsbottom. 2016 will for some be the year that many big celebrities died such as Prince, David Bowie and Alan Rickman. For residents of Ramsbottom it will be remembered for some of the worst flooding to hit the area in living memory. Although the flooding actually happened on boxing day 2015, Ramsbottom was still very much engaged in the clean up operation well into January and some even still to this day have not returned back to normality. The flooding of the local area brought sadness and misery as well as bringing down The Waterside pub in Summerseat. 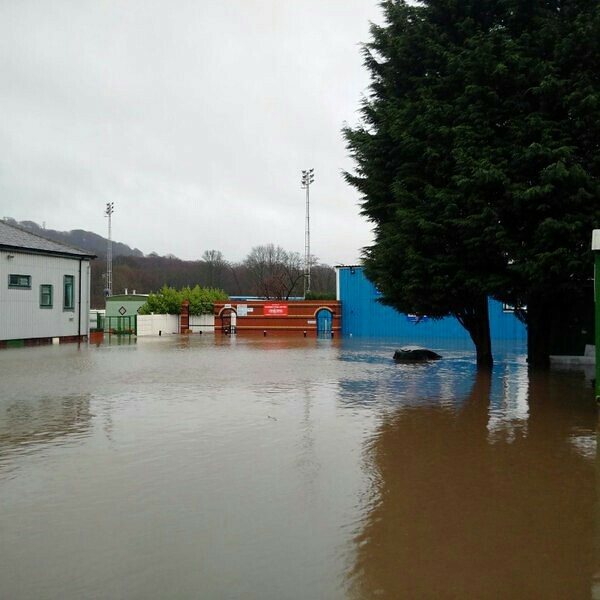 Rossendale Free Press – Valley floods one year on – could it happen again? After over two long years of battling with Peel Environmental, they finally gave up with their proposal to build an Anaerobic Digestion plant in Ramsbottom. This was a massive achievement for the community who all rallied behind getting this badly planned facility cancelled. In January we also set our pistons ready for the Flying Scotsman to make a return to the railways after a ten year restoration project. The project cost £4.2million and the Flying Scotsman made it’s return on January the 9th. You can also see this amazing 360 degree video of the Flying Scotsman on the New York Times website. Paul Jenkins, friend to the podcast and all round nice guy published his first book, Requires Improvement. The book, funded by a kickstarter campaign and is in part based on some of his experiences as an ex High School Teacher. Paul has actually released another book of poems since last year, and is in the process of releasing his third which is in partnership with his son. I interviewed Paul in May for episode 61 of the podcast. Ramsbottom saw a couple of new businesses and a massive achievement from a local resident. After Love Shoos closed it’s doors there were a few question marks about what was going to open up in it’s place. The answer was a small coffee shop called Grind and Tamp that aimed to offer local residents a real cup of coffee. With owner Adrian at the helm he’s brought the art of coffee making to Rammyites lips. I’ll hopefully have Adrian on a future episode of This is Rammy, but I do know that he recently became a father. I guess that’s one benefit of owning a coffee shop though, easy access to much needed caffeine. Kerry was previously working as a nurse when she came upon the upcycling habit and decided that a shop that sold what she likes would fit in well in Ramsbottom. After Mel’s previous attempt to summit Mount Everest was tragically cut short due to the earthquake that killed around 9000 people, Mel vowed to return. In actual fact Mel wasn’t in great condition when she set off for her journey having came down with pneumonia but against the odds she finally did it, in -30 temperatures and in pitch black too. A large sinkhole opened up on Tanners Street and threatened to swallow up cars whole. OK, it wasn’t quite that bad but at the time this caused some all too familiar traffic problems around Ramsbottom. My best guess is that the flooding towards the end of 2015 had an impact on this, and no doubt we’ll start to see other effects in years to come. Popular Italian restaurant The Venetian Hideaway was badly damaged by a basement fire and remains closed to this day. I spoke to Paolo shortly after it happened to get an understanding of the events surrounding the fire. October saw the popular Rake Hillclimb take place with what can be called a success in the effort of bringing more women to the sport. That success was evident in that the Women’s Rake Hillclimb Record was beaten. The previous time set by Lyn Hamel of 3 minutes, 8.9 seconds set back in 2012 was beaten by Becky Lewis who set a time of 3 minutes 8.7 seconds. Both the Eagle and Child and Levanter came away with prizes at the Manchester Food and Drink awards. Levanter picked up Neighbourhood Restaurant of the Year and Eagle and Child walked away with Food Pub of the Year. The Eagle and Child actually won four awards during 2016 and came runner up in another. As I’ve mentioned in the past, their window sill which currently houses their awards was getting quite full, thankfully though the Eagle and Child are having some work done soon, maybe they will get a cabinet for them all? The coffee bar Drinc opened in what used to be Barclays Bank just across the road from Ramsbottom Station. The renovation of Barclays Bank had the town talking about what it could be when someone heard it was going to be a coffee shop. There was some people questioning is we needed another coffee shop given the existence of several other cafes in the area already, but so far Drinc seems to be doing good business and it’s never empty. As well as this, Drinc has now gone on to become not only a coffee bar but a venue for evening too selling cocktails and other alcoholic beverages.